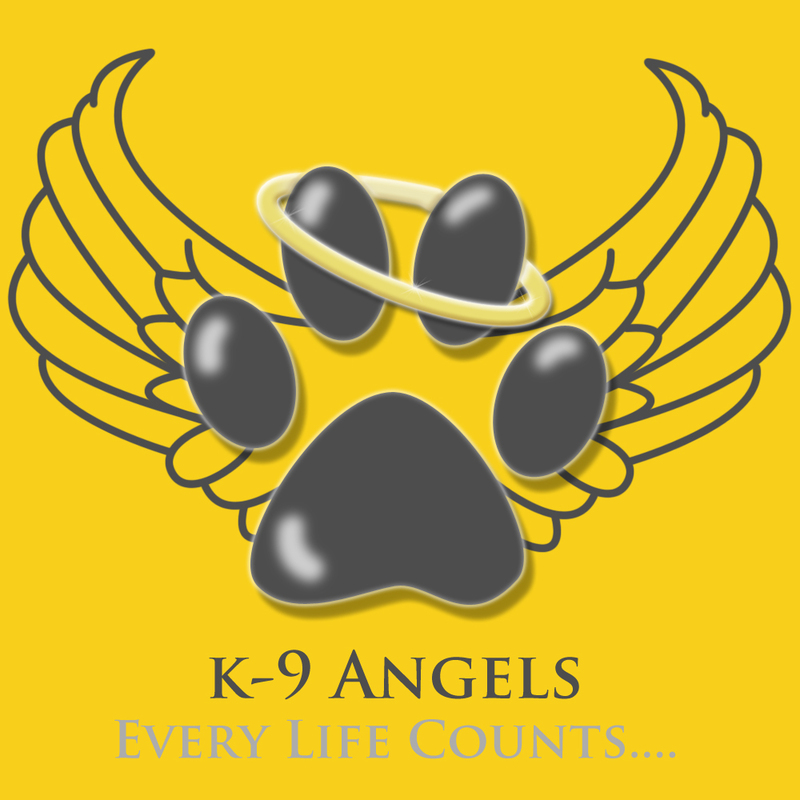 The K-9 Angels team works so hard all year around rescuing and re-homing dogs in desperate situations and from a life of misery. The enormity of the task can be overwhelming as we see so much misery that literally breaks your heart. Puppies needlessly dying on the streets due to over population hunger and neglect. A simple 15 minute operation costing just 20 euros can prevent this from happening repeating itself over and over again. 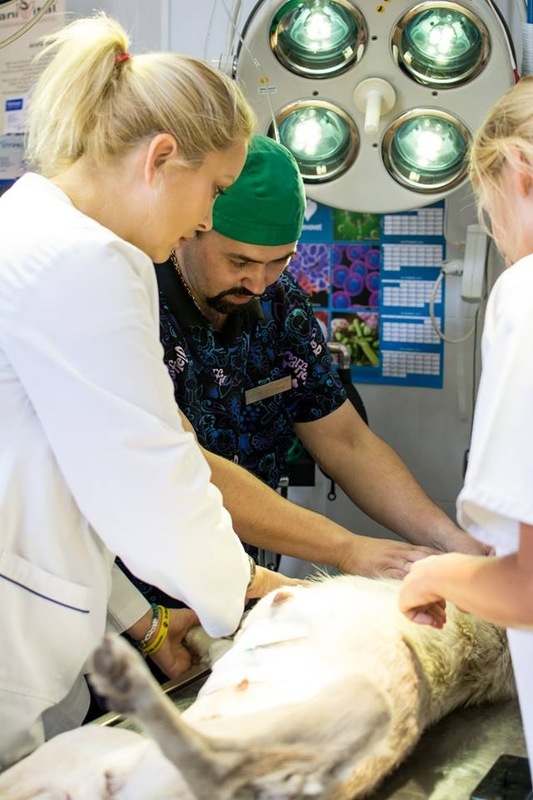 They say prevention is better than cure so all the monies raised from this 400 mile cycle ride will be used to spay and neuter as many dogs as we can. Last year I cycled 300 miles across the stunning Somerset, Devon and Cornwall and this raised £4,200 with which we spayed hundreds of dogs and cats too in the K-9 Angels ongoing spay campaign. My challenge this year was to cycle 400 miles but with a slipped disc I knew that it wasn’t going to be easy, however I was determined to achieve this so in October K-9 Angels can spay as many dogs as possible. 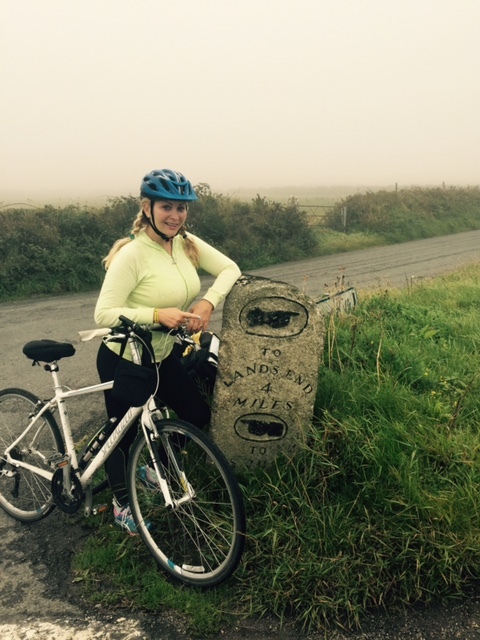 My target was to raise a minimum of £5,000. 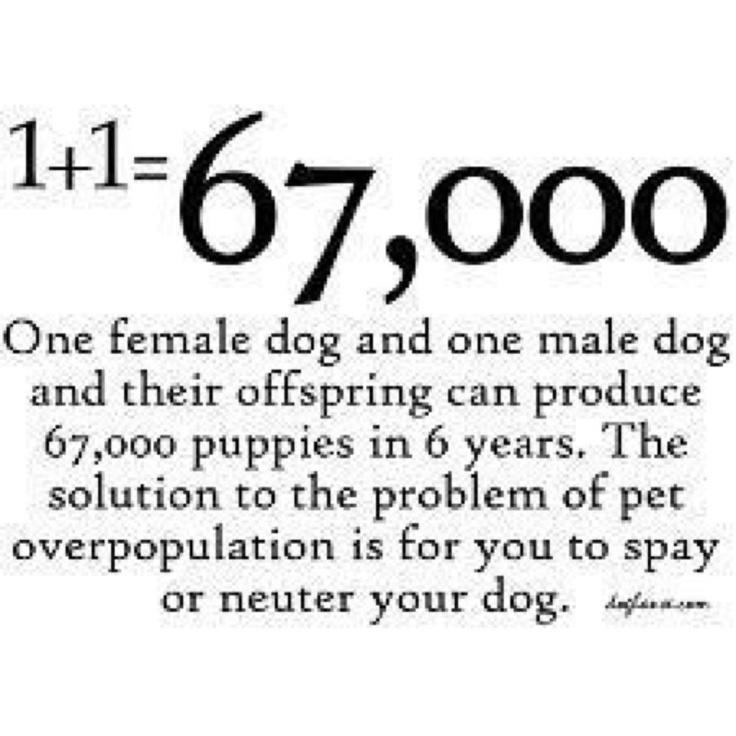 Did you know just one non-spayed female dog and her offspring can produce 67,000 puppies in only six years. So with your help we could save at least 67,000 lives per mile. 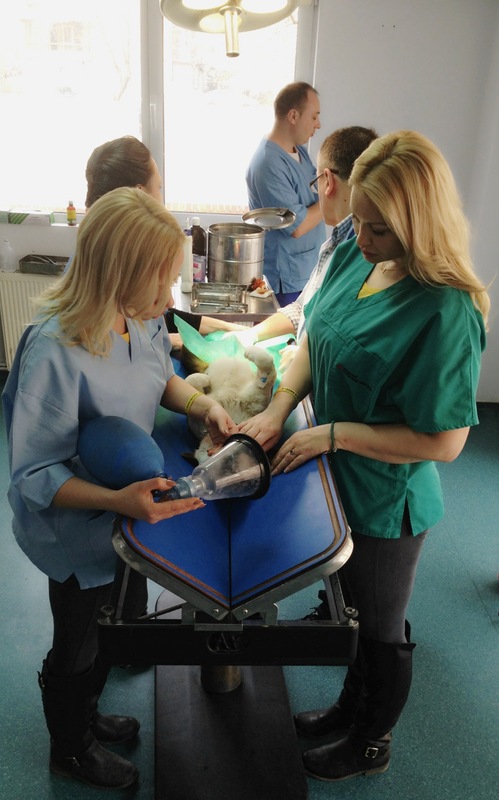 It costs just around £16.60 to spay one female (If we raise £5,000 – that’s 300 females which will directly prevent around 20,100,000 (yes! you read it correctly over twenty million) lives of needless suffering and pain in 6 years. Now that’s a challenge worth completing and guess what … I did it !!! Bristol- Bridgewater 47 miles on route 3/The Avon route. 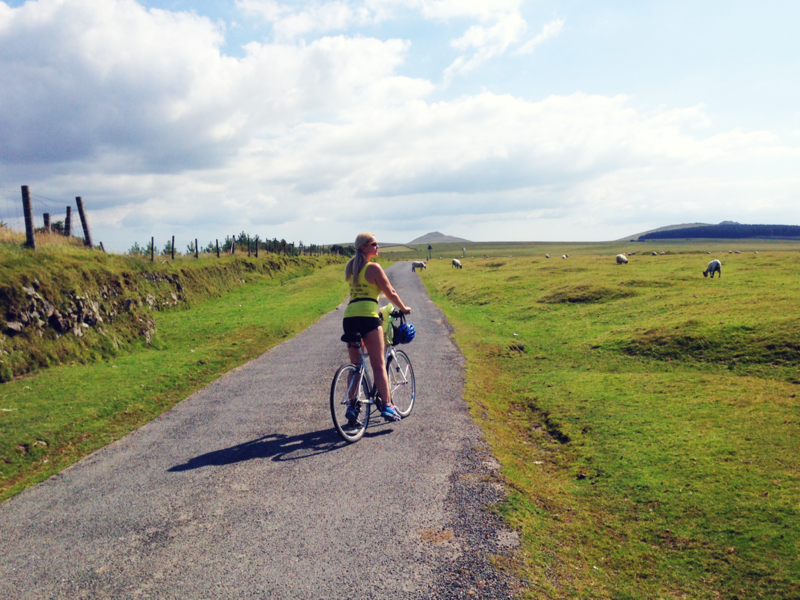 We cycled through Whitchurch, Chew Mangna, Priddy, Wookey Hole, Wells then Bridgewater through the stunning Mendip’s. A very dull day, few light showers and a killer hill over the Mendips that lasted about an hour! Back twinges but all ok. 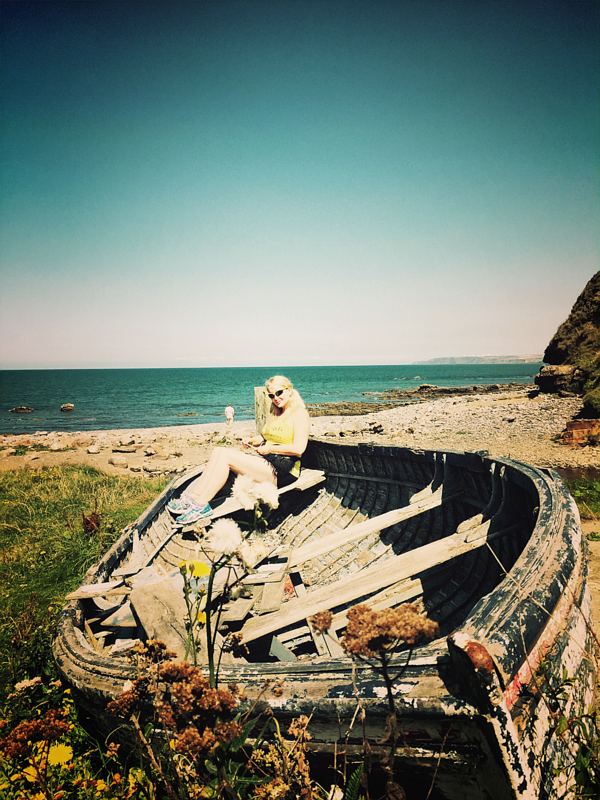 Stunning scenery and so quite hardly saw a soul which was amazing. My day started as I walked out of the Premier inn hotel into the rain and a little girl came ecstatically running out shouting at the top of her voice ‘Mummy this was the best holiday ever’ That little girls affection for the simple things in life made my day. Bless her. Only managed 30 miles today because it was raining and head on winds all day plus we cycled 10 miles in the wrong direction down to my map reading.! 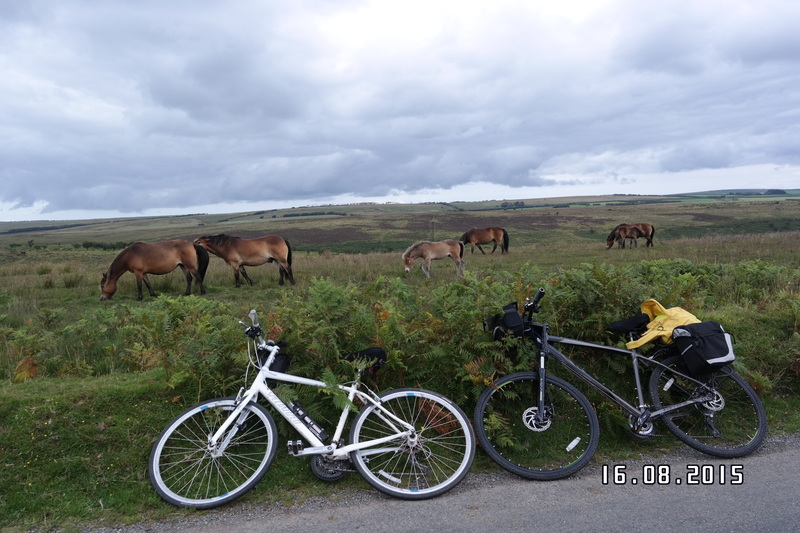 Cycled across the Sedge Moor way which luckily was flat. Really hoping for better weather tomorrow. Today was all about steep hills and more hills. 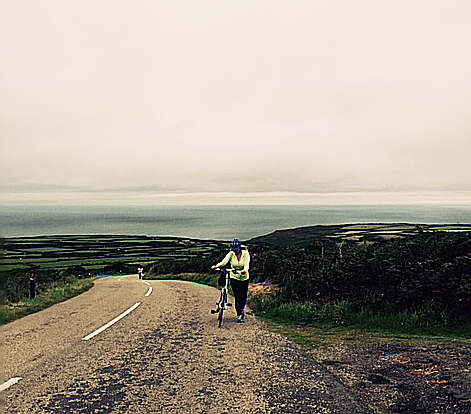 The hills going up are extremely difficult but it’s so exhilarating cycling down. 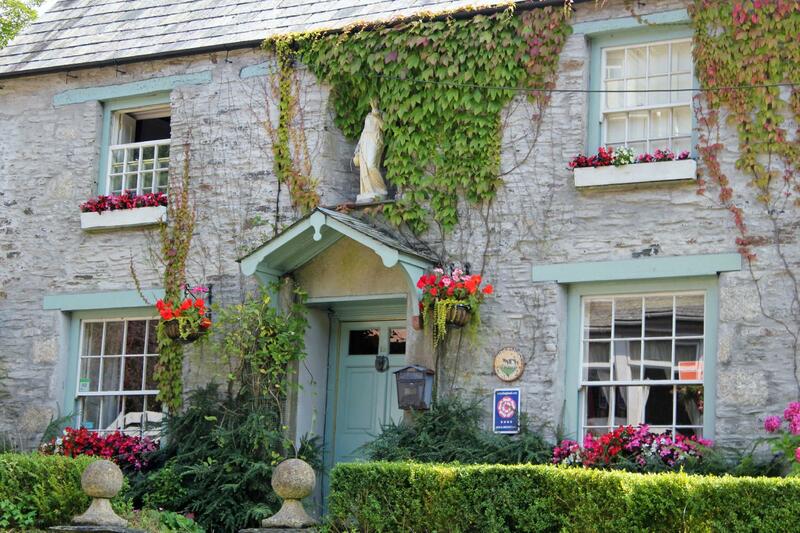 Cycled through the most beautiful villages, saw the prettiest flowers and it was sunny too! Cannot feel my buttocks at all and my legs feel like led weights. As we left beautiful Dulverton we were met by the killer of killer hills! 45% incline on the hill to be exact 2 miles long. 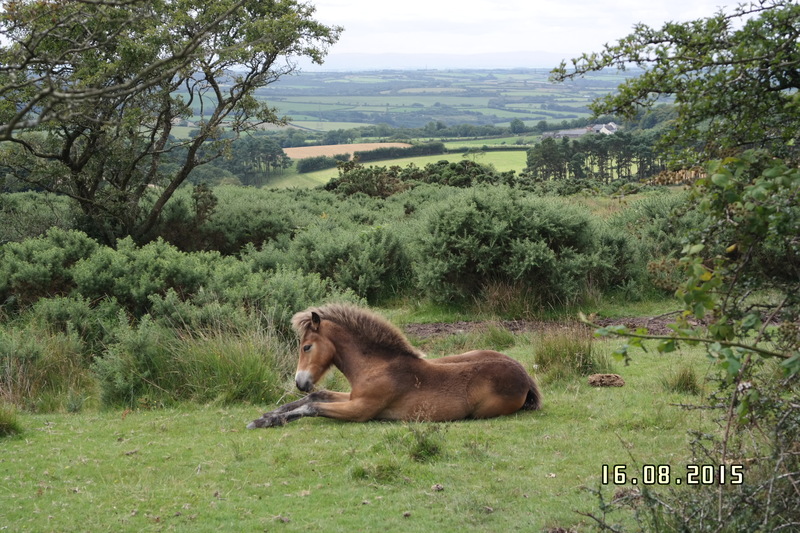 Then came the stunning Exmoor which is simply breathtaking with its wild Ponies, Sheep and Cows. What goes up must come down and cycling down and as much as I dislike the steep hills speeding down at 20 mph is amazing and exhilarating. Another stunning day weather wise and breathtaking scenery. A ton of hills that really slow you down, I have to walk up many as they are just SO steep! Being a Vegan on this journey has not been easy at all. Most places I found do not serve soya milk or Vegan food. Most places served one vegetarian option but nothing at all for Vegans. 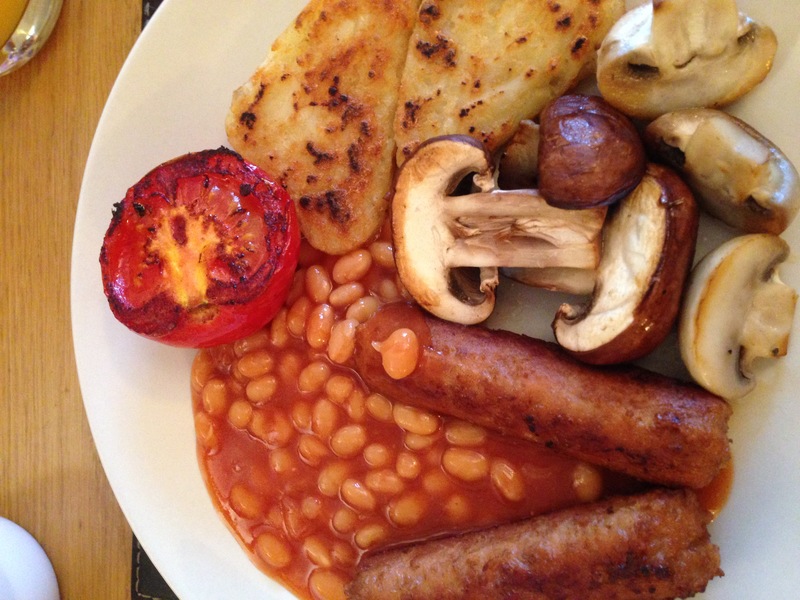 So when we stumbled across this stunning Vegan B&B farmhouse in Camelford I was over the moon! I was really feeling it now. Extremely tired. 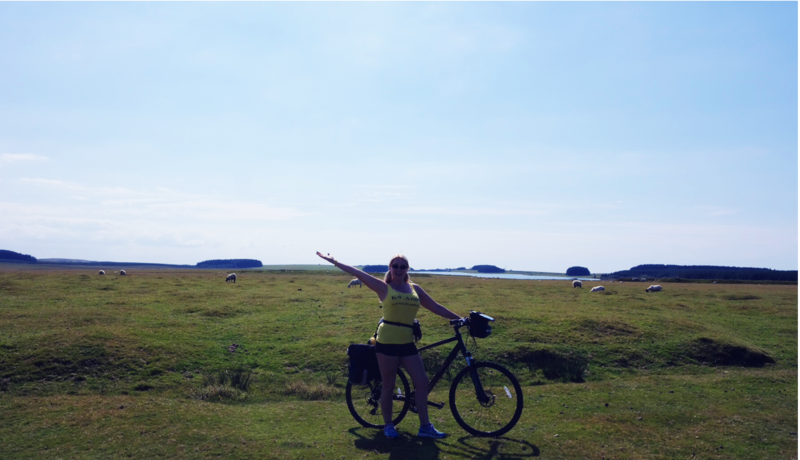 It’s been another beautiful day weather wise but my whole body ached and I couldn’t feel my buttocks anymore. A VERY wet day! It rained most of the day, soaked through and cold. 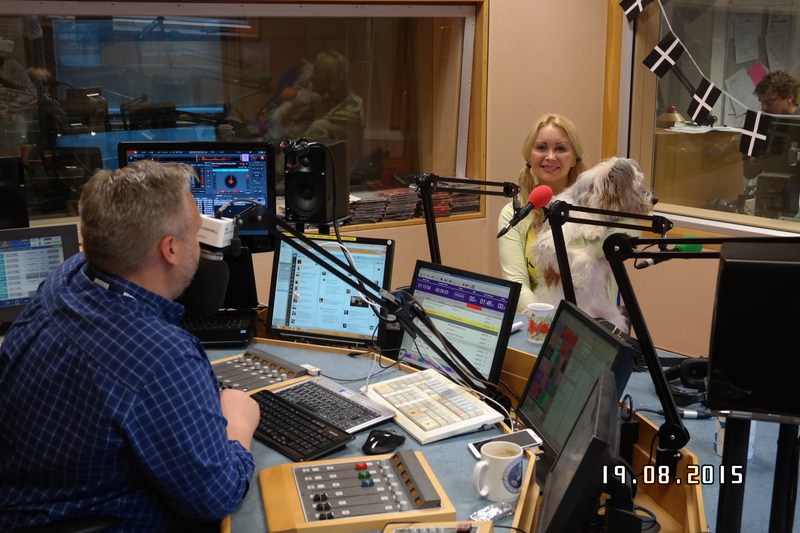 The day started with a BBC Cornwall radio interview with one of the K-9 Angels rescue dogs Dotty to cheer me on. So lovely to see Dotty who had grown so much and her lovely adopter Steph. 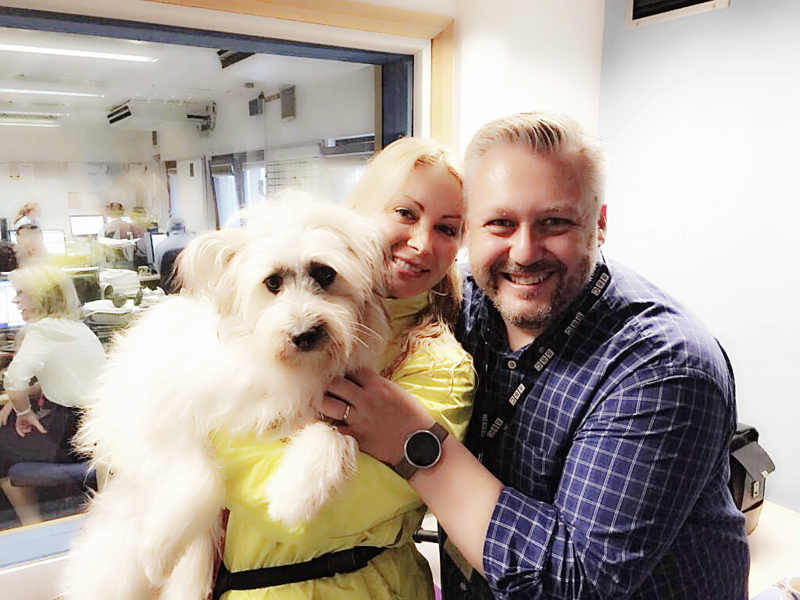 Live interview on the David White show (you can listen here) http://www.bbc.co.uk/programmes/p02yh466 . Arrived in the stunning St Ives which is one of my favourite places in Cornwall. Day 8 The penultimate day! 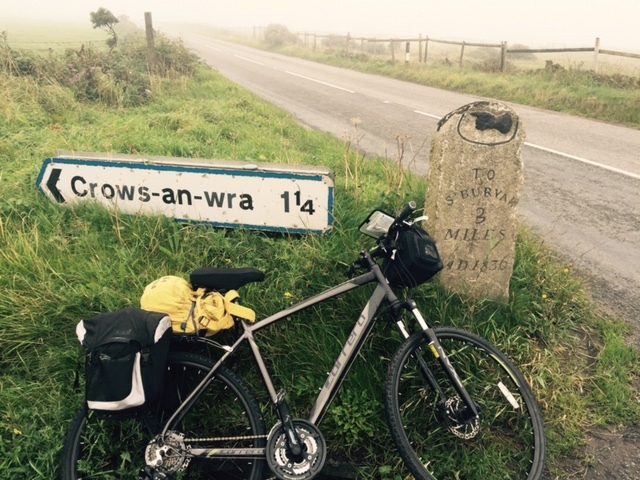 Challenges today – head on wind, sea spray, Heavy rain, Mega hills. 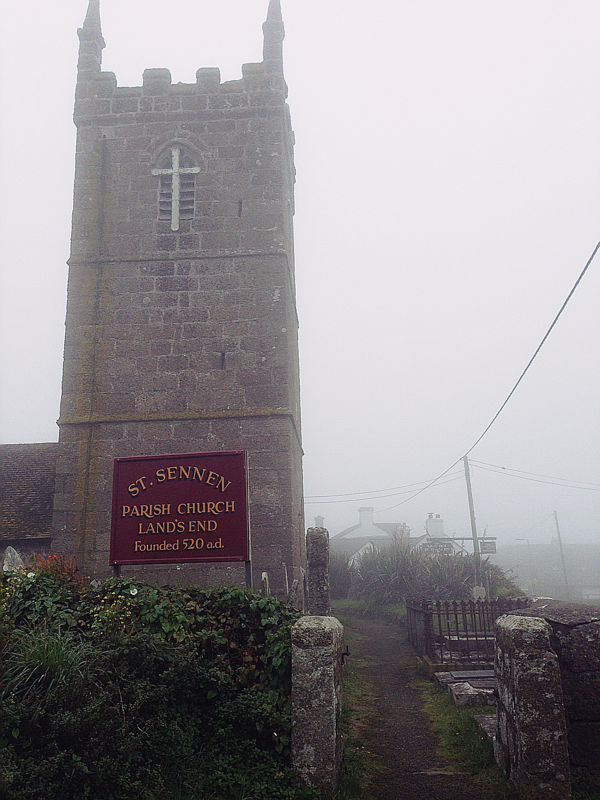 Started in the stunning St Ives with the weather trying to be sunny. 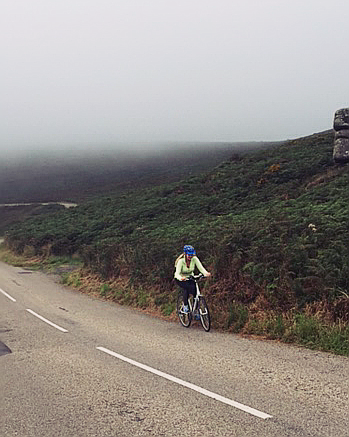 As we cycled out towards the coast the weather changed minute by minute becoming wetter and windier making it very hard cycling conditions especially with the mammoth hills too. 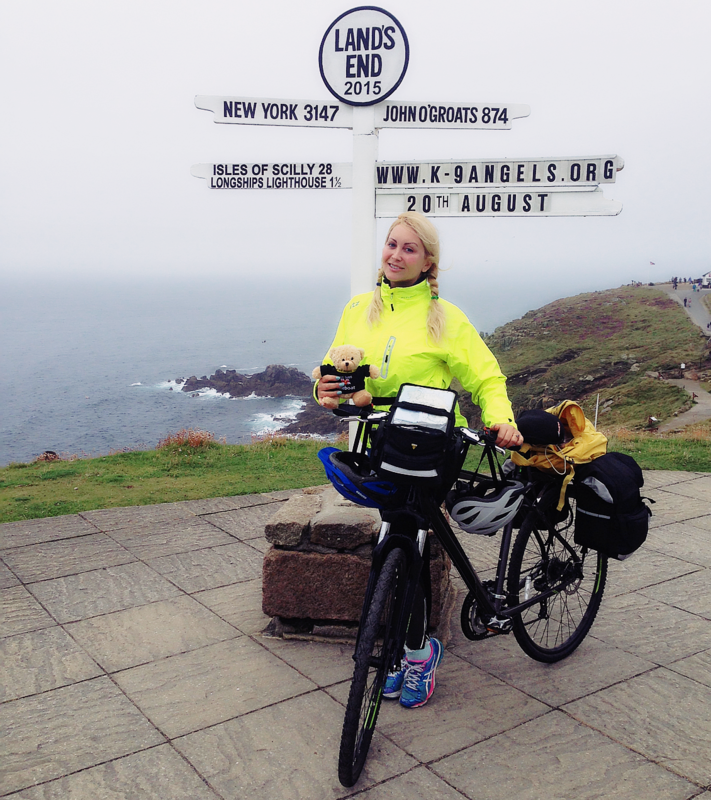 Made it to Land’s End which was just incredible! 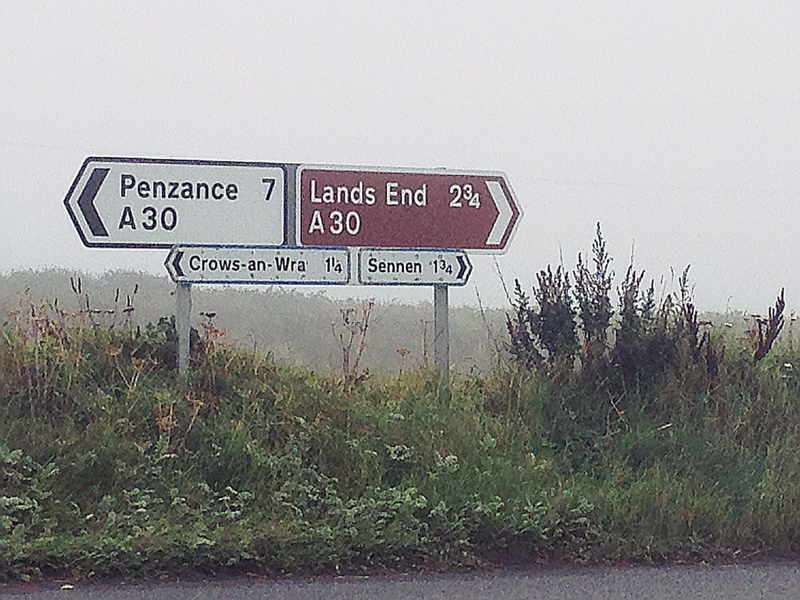 Didn’t stay too long as then had to cycle to Penzance. Today was a really hard day but saw some incredible scenery that you just wouldn’t quite experience by car. Day 9- The last day!! Last day thank goodness as I’m not sure my legs or bad back could have taken anymore. Raining most of the day but thankfully not so many hills today. 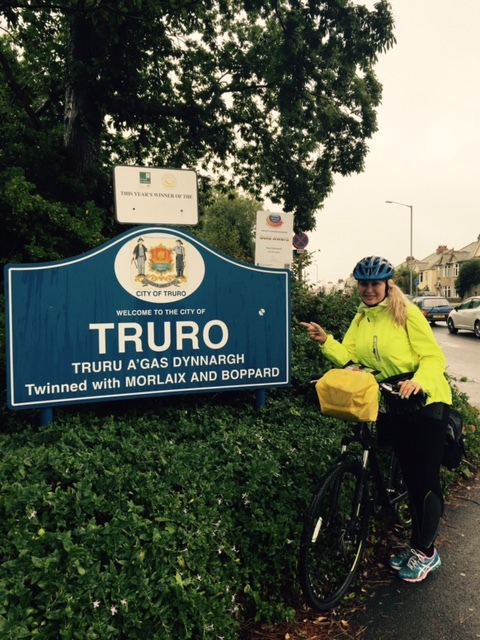 Arrived soaked from the rain in Falmouth early evening and felt so happy that I had made it! It’s been an incredible journey that for most part I absolutely loved but in parts found it so very hard. More than just a physical challenge it’s a mental challenge too just to keep on going. Especially when you are on a hill that seems to last forever. The support I’ve had from K-9 Angels supporters and followers has been just amazing! Apart from the donations, the lovely messages have kept me going and feeling so united in helping man’s best friend. Has been heartwarming to say the least. K-9 Angels supporters are simply the best! There is no way I would have been able to complete this challenge without one person and that person is my amazing partner Stephen. He not only read the map (I would have ended up in Timbuktu) he listen to me moan going up hills and he cycled with the gear and ruck sacks etc. Thank you once again for your incredible support! 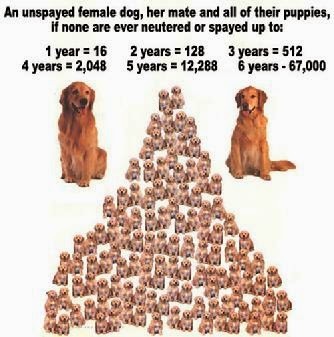 Please share this blog so others can learn how important and how big a difference spaying is and can make.